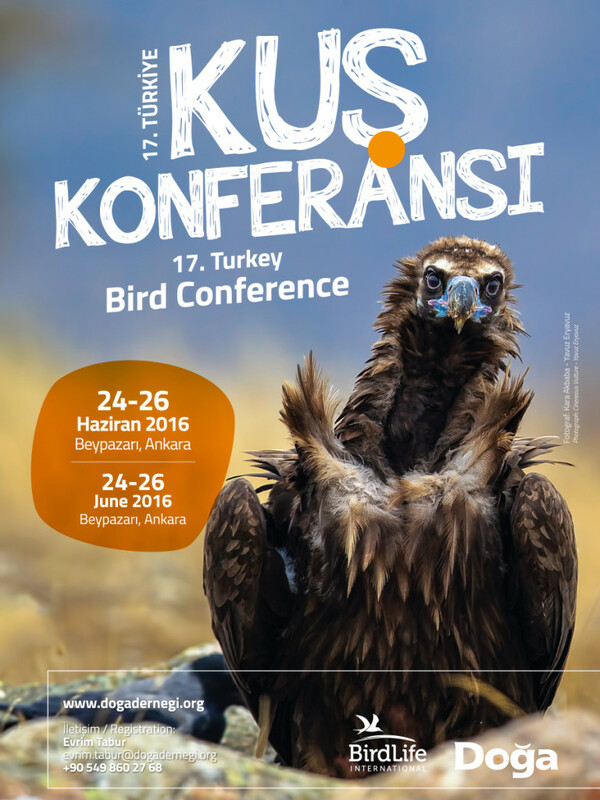 The 17th edition of the Turkey Bird Conference will take place from 24-26 June this year. These conferences have been organised by Doğa Derneği (Birdife in Turkey) for the last decade in different parts of Anatolia. The idea for the event was born from ornithological research from the early ’90s, when the process to identify wetlands and IBAs lead to many untouched areas being discovered in Anatolia. The conference is meant to share the knowledge discovered through this research, and promote bird watching and young conservationists. Doğa has been hosting these events with the support of local birdwatchers, mainly in Key Biodiversity Areas. This year, invited speakers of 17th Turkey Bird Conference will represent different generations of the nature conservation movement in Turkey since the 1950s. Thus, the conference, which will be held in Beypazarı, Ankara in cooperation with the governor of the district this year, will bridge generations of nature conservationists working in Turkey. Several European researchers will also attend the conference to share their experiences in Turkey and neighboring countries. Why Beypazarı? The region covers four different IBAs where all four European vulture species breed. The conference will cover various presentations on bird watching, research and conservation to facilitate knowledge and experience exchange between people interested in Turkey’s birds and nature. There’s much to look forward to at the conference. The special session on Bald Ibis conservation will bring together conservationists of three generations from Turkey and Syria. Tansu Gürpınar and Udo Hirsch who lunched the first ever conservation program for Bald Ibis in Turkey in 1970’s will sit at the same pannel with Mahmood Shaiesh, Turan Çetin of Doğa who currently carry on hands on Bald Ibis conservation in the region. Another panel on Important Bird Areas (IBAs) and Key Biodiversity Areas (KBAs) will for the first time bring together authors of IBA and KBA directories of Turkey, including Murat Yarar, Gernant Magnin, Dicle Tuba Kılıç and Güven Eken. BSPB will share their research experiences with the Egyptian Vulture and Eastern Imperial Eagle, and several young bird conservation scientists will share the recent results of their work.